Memorial Day is Monday, guests will come knocking mid day ready to relax and enjoy a beautiful afternoon in your company. Will you be prepared? Memorial Day weekend is the gateway to summer, a season of relaxing and lots of time spent outdoors. 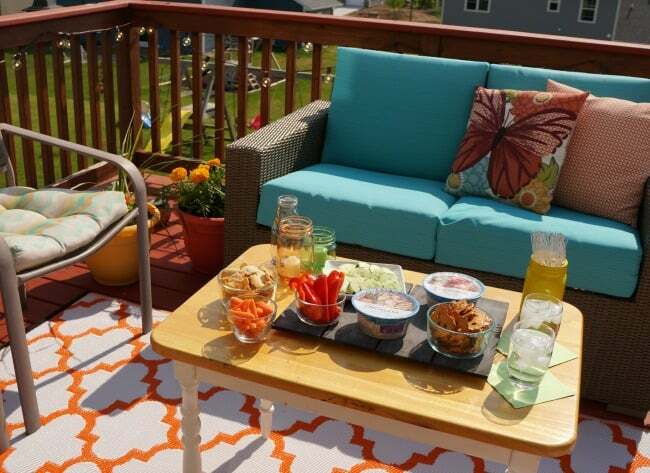 Be ready for whoever knocks at your door with these tips for a simple last minute summer party spread. My fridge is stocked with NEW Chobani Mezé™ Dips. These bold, rich and creamy dips are rooted in the Mediterranean tradition of gathering around the table and inspired by global flavors. 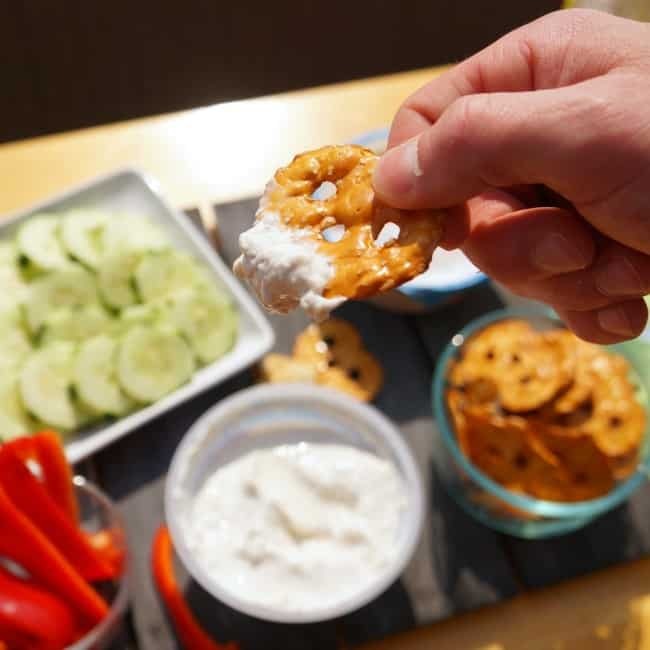 They are a delicious combination of real vegetables, and thick, creamy and trusted Chobani Greek Yogurt that makes for a sensational savory experience. Plus they are made with only natural and non-GMO ingredients. I picked up all 4 flavors at my local Walmart, in the Deli section, along with crisp vegetables, pita chips and pretzel crisps for dipping. 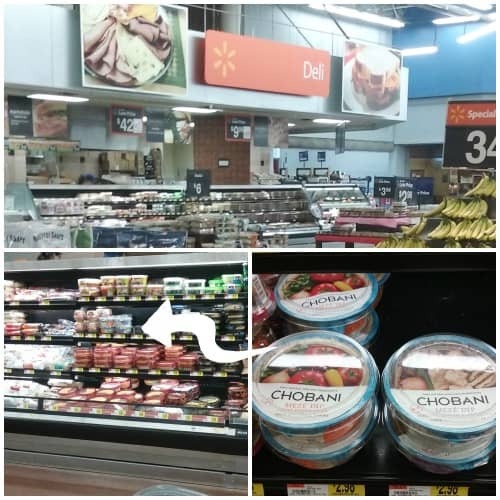 I loved being able to pop in the front door of Walmart, grab what I need and be on my way. Chobani Mezé comes in 4 delicious varieties and you can use this coupon when you stock up for your next party. Now that my fridge is stocked with these savory dips I know my guests will love, all I have to do is set a pretty table and let everyone enjoy. Here are a few tips for a simple last minute summer party spread. Create a buffet. 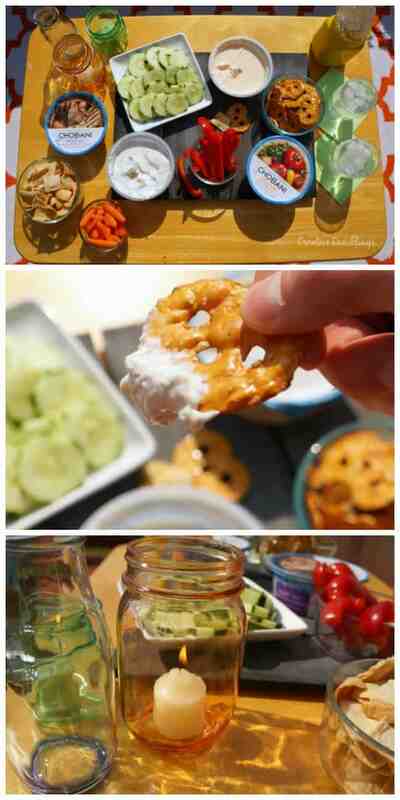 Let guests snack and serve themselves from a pretty and simple buffet table. Use trays and small dishes to display food and hold utensils. Use food as color. Choose brightly colored vegetables, dips and drinks to bring colors to the table. Savory fresh foods are sure to please all your guests. Variety. 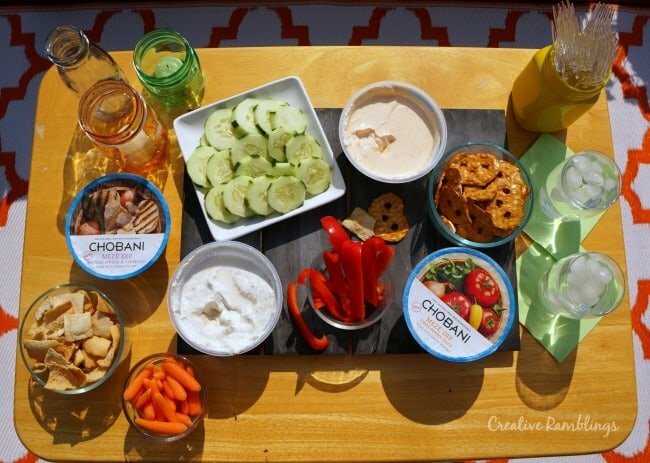 Setting out all 4 varieties of Chobani Mezé, along with lots of dipping options, means there will be something for everyone. Simple decorations. 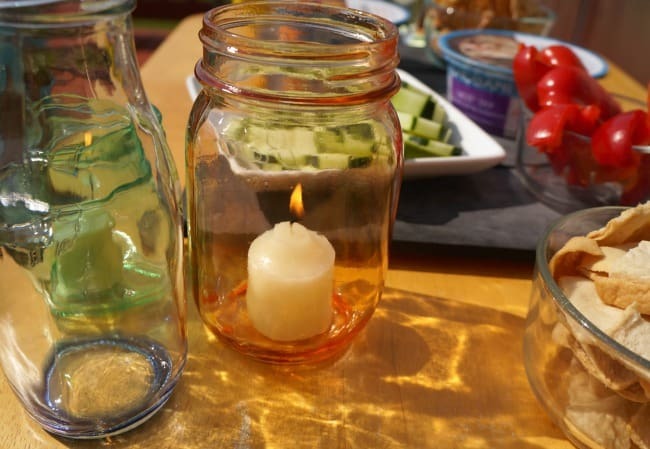 Tint a few glass jars using this simple technique and use them all summer long with candles or flowers to decorate your table. These simple tips for a party spread will help make your Memorial Day get together a success, just add guests. 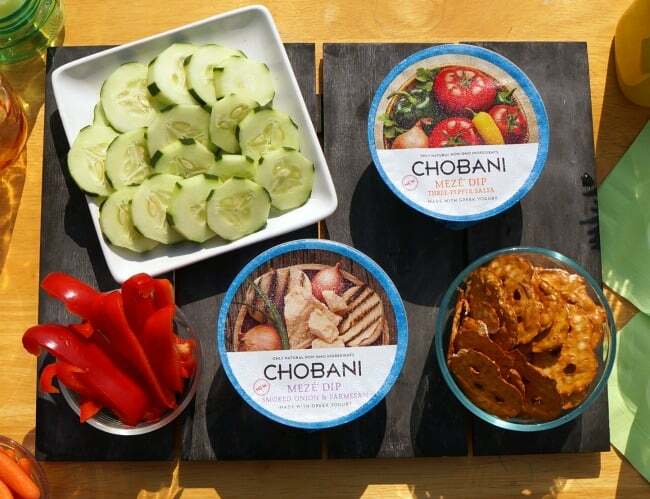 Which variety of Chobani Meze will you try first?